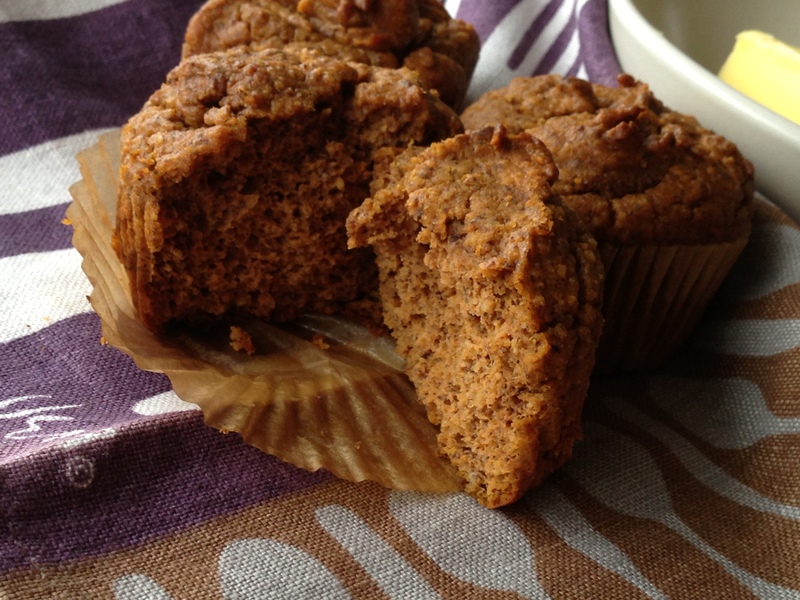 Last year, I posted a recipe for Pumpkin Muffins, and more recently I posted on for Paleo Muffins, but here’s another version that I really like. This is closer to the paleo recipe than the original pumpkin one, but it substitutes pumpkin for bananas in a paleo-friendly mix. I continue to play with paleo-izing* recipes—creating variations that don’t include grains, beans, dairy, or refined sugar, for example—and I keep coming up with versions that I like better than the originals. *Note: I use the term “paleo” somewhat loosely as I don’t follow a strict paleo diet. The Whole9 program is based on a paleo framework, but restricts some foods that might be considered “paleo” in nature. Also, the exact definition of paleo varies, based on who you ask. Put pumpkin, almond butter, honey, coconut sugar, coconut oil, vanilla, and eggs in a food processor and blend until smooth. In a mixing bowl, combine almond flour, spices, baking soda, and salt. Add the wet ingredients to the mixing bowl and stir well. Place muffin cups in the muffin pans and fill with batter. Bake for 25-30 minutes. * I found almond butter at Trader Joe’s and PCC, and I purchased the coconut sugar and almond flour at Whole Foods. Tina’s Tip: You can substitute ground ginger for the nutmeg, if you prefer. 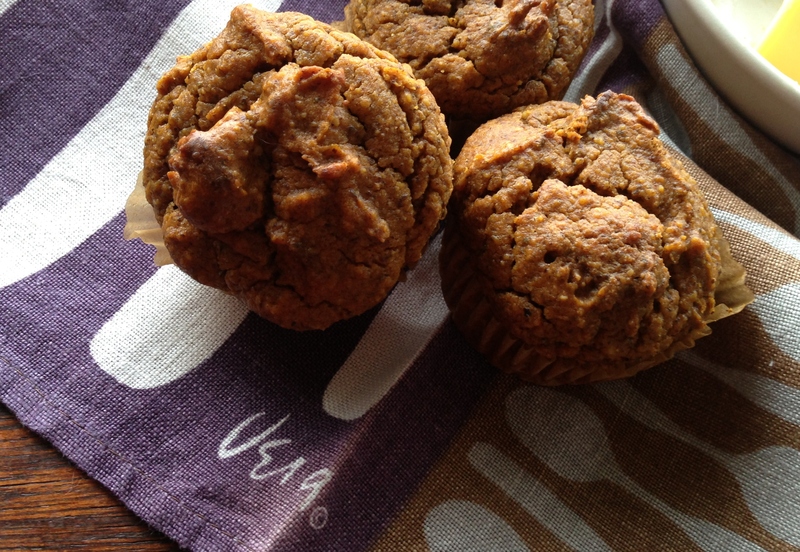 And if you are not trying for paleo, these taste great with a half-cup of chocolate chips added to the batter just before you scoop it into the muffin tins. This entry was posted in Breakfast, Recipes and tagged Baking, Vegetarian. Bookmark the permalink.